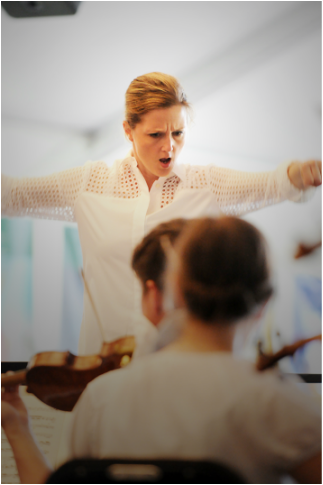 Hailed by the press as engaging, elegant, and entertaining, Erin Freeman holds a joint position with the Richmond Symphony, serving as Director of the Richmond Symphony Chorus, and Virginia Commonwealth University, where she is Director of Choral Activities. This unique appointment, following seven successful years as the Richmond Symphony’s Associate Conductor, includes overseeing all of the choral ensembles at VCU and preparing the 150-voice Richmond Symphony Chorus. Freeman is also Resident Conductor of the Richmond Ballet and Artistic Director of Wintergreen Performing Arts, where her creative and vibrant programming has resulted in record crowds, multiple sell-outs, increased donations, and an endorsement in the Washington Post.